The most extraordinary dreams have been sent into The Declare Your Dream Experimental Motivation Project so far and the dreams just keep on coming in! 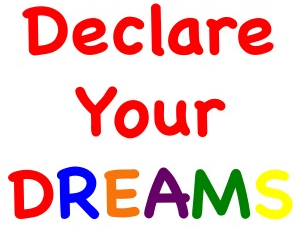 The Dreams will wake up your imagination, inspire you and motivate you to think about your own dreams, declare them, but most importantly, act on them. Go SEE A DREAM today and ignite your creativity! Special thank you to our participating restaurant, Muse on 8th, for sharing the Dream Cards with their patrons! Please visit Muse on 8th for delicious and nutritious food, drinks and art and to pick up a Dream Card at the counter!